i am happy to say that, i have Pajero in my hand,..
Pajero is an off-road 4x4 SUV specifically designed for a super challenging and passionate journey experience. It is an oldest and most recognized vehicle brand introduced by Mitsubishi Motor Company on May 1982. This term has been taken from the leopardus Pajeros Cat. It exhibits the key features of an adventuresome SUV for having extreme fun and pleasure driving for customers. It is an ideal choice for all-terrain exciting activities. This luxurious and rugged sports utility vehicle has been produced as a recreational drive for setting a profound impression on other close rivals like Toyota Land Cruiser Prado, Land Rover Discovery and Nissan Patrol. It has a span of four consecutive generations. The initial was a three-door version with a short wheelbase. It had various options of four cylinders gasoline engines with 2.0 liters, and 3.0 liters v6 petrol. It had also choices for 2.3 liters diesel and 2.5 liters turbocharged diesel fuel engine. It offered a power train of 5-speed manual and 4-speed automatic. It was in February 1983, when the company launched its 5-door Pajero version with a long wheelbase. It had better inside space with easy passenger and cargo accommodation. The modern versions provide more enhanced and redefined exterior and interior design for stunning customer exposure. Mitsubishi Pajero is truly designed for the people always on the go. It provides an opportunity to explore all the on-road, off-road, mountainous, sandy, and aquatic destinations of the world. 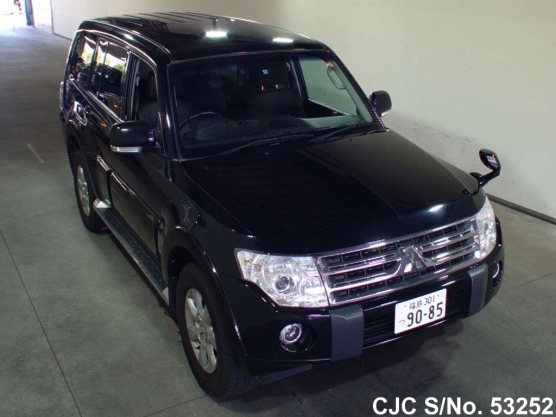 Car Junction offers Used Mitsubishi Pajero for Sale at good reasonable prices. We deal in all types of Japanese Cars in Africa, Europe, Caribbean, Pacific, and Asia.